Skip directly to main content. BioKIDS is sponsored in part by the Interagency Education Research Initiative. It is a partnership of the University of Michigan School of Education, University of Michigan Museum of Zoology, and the Detroit Public Schools. 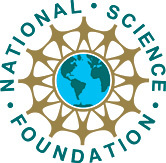 This material is based upon work supported by the National Science Foundation under Grant DRL-0628151. Copyright © 2002-2019, The Regents of the University of Michigan. All rights reserved.